Unique comedy stories from an unknown comedian who’s made her living telling and selling jokes for over 2 decades. 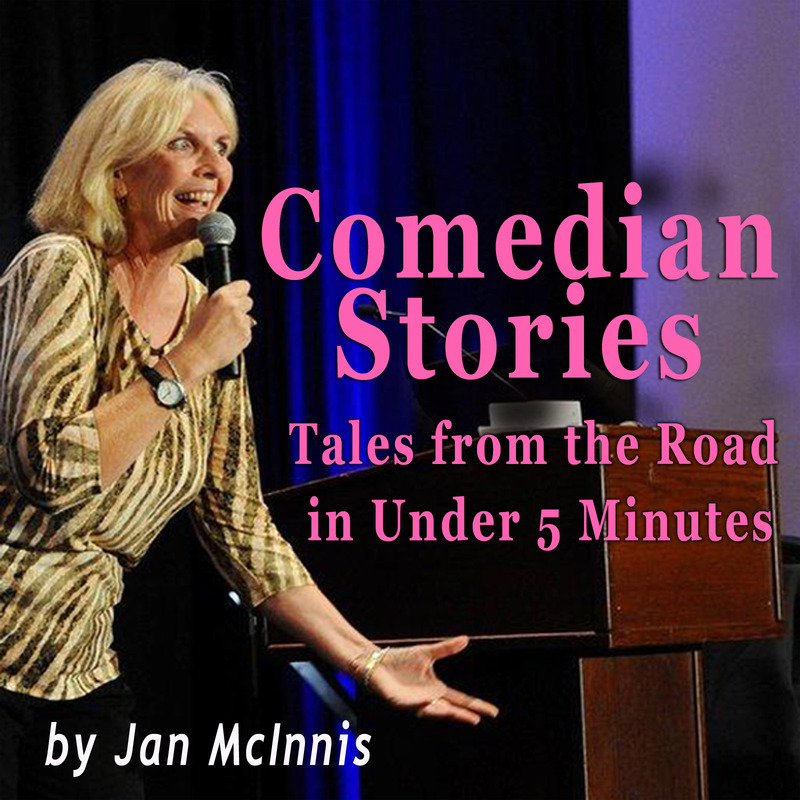 From bombing to working with celebrities, and performing in weird venues Jan tells you the inside scoop on being a true working comedian, and she does it with stories in under 5 minutes. She also talks about selling comedy material to everyone from the Tonight Show to guests on the Jerry Springer Show Each podcast ends with a “lesson learned” take-away tip that is appropriate for everyone, even if you’re not a comedian. Comedians really don’t have a straight path to become a comedian. I did a lot of marketing by trial and error, and my podcast today focuses on some comedian marketing. Comedy shows can make people come up with stupid ideas. I don’t know why, and I’ve lived through a lot of them. This comedy podcast focuses on a stupid idea. I was told about “bumpability” by another comedian, and it’s a stupid and rude idea! Today’s comedy podcast explains this dumb idea! Comedians have a better chance of getting booked into comedy clubs if the club owner or booker actually sees them. Here’s Jan’s take on doing comedy auditions for Comedy Clubs. A Comedian emceeing should be pretty self-explanatory. The comedian does the announcements and does some jokes to keep things going. But toss in a bunch of drunks who don’t want a comedian to do humor and you’ve got Jan’s emcee gig. Here’s the story! he Comedy Awards were a big deal several years ago. Here’s Jan’s story. Go Red For Women is a great fundraiser run by the American Heart Association to raise awareness about heart diseases in women. They hold Go Red For Women luncheons across the country. Jan has shared her humor at many of them . . .here’s her first experience. Comedy can happen anywhere. . . even following a male stripper show. Jan talks working in Vegas and meeting the Thunder From Down Under dancers.